Disney Springs, formerly known as Downtown Disney, is a shopping, dining, and entertainment complex along the banks of Village Lake; after a major overhaul, Disney Springs has become a destination in its very own right. Families can have fun all day without shopping, and here’s how. 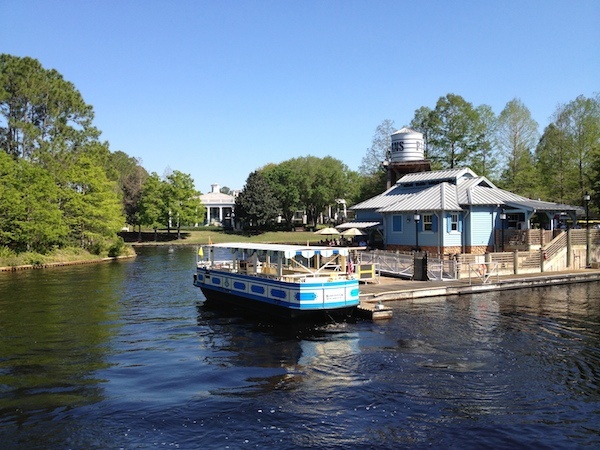 If you are staying at Port Orleans Riverside or Port Orleans French Quarter, take the boat into Disney Springs. The gentle 2 1/2-mile ride on the Sassagoula River, past the Treehouse Villas and Saratoga Springs, is absolutely wonderful. If you are not staying on property, you can still enjoy a free boat ride from the Marketplace dock to the Landing and then onward to the West Side dock. 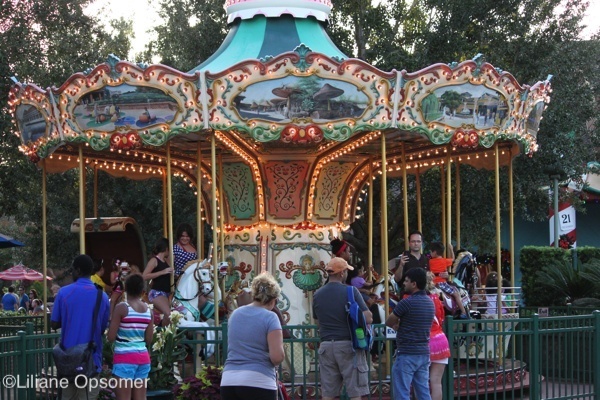 Little tykes will love to ride on the old-fashioned Marketplace Train Express or take a spin on the Marketplace Carousel. Riding the choo-choo train or one of the 16 handcrafted horses of the Venetian merry-go-round costs $3 per turn. 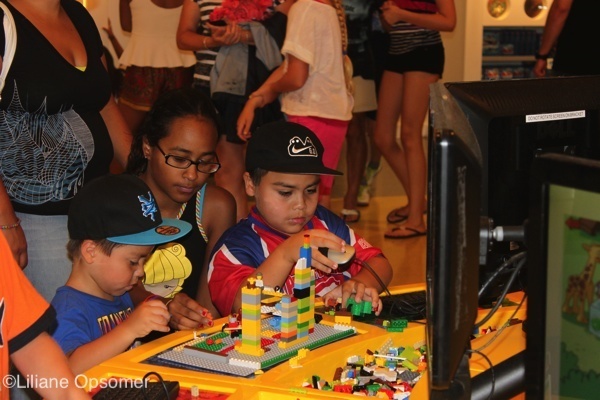 If you make it clear that this is not a shopping expedition, great fun can be had at the LEGO store, where kids can play for free with the little bricks. 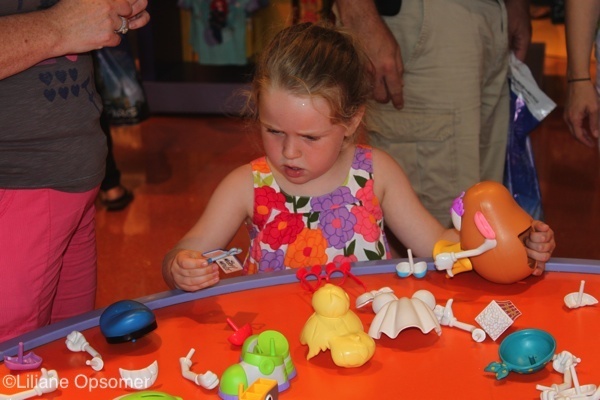 At the Once Upon a Toy store, there is a section where kids can enjoy some playtime with lots of different Mr. Potato Head parts without parents being obliged to purchase any. Disney Springs is the perfect place to do some serious pin trading. Bring your pins (you can purchase them in bulk on Ebay) and visit Disney’s Pin Traders, a store that regularly hosts pin trading events. Several times a day, World of Disney and the Once Upon a Toy stores bring out pin books or pin boards for trading. Many Cast Members wear lanyards signifying that they are up for pin trading. It’s a lot of fun. 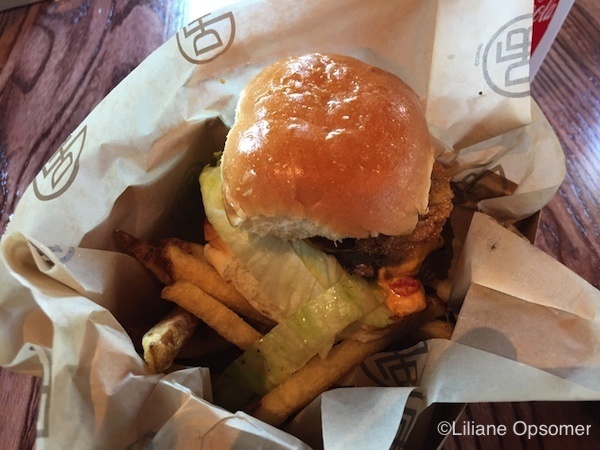 The best burgers are available at D-Luxe Burger, a restaurant offering classic and gourmet variations on the all-time American favorite. The best pizza is found at Blaze Fast-Fire’d Pizza. 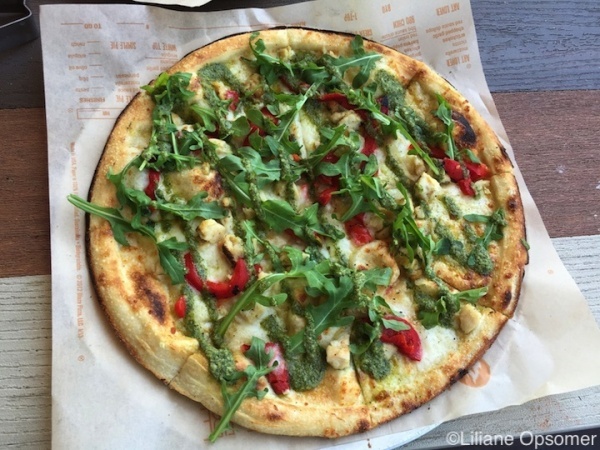 Guests can pick from eight signature pizzas or customize their own 11? artisanal pie by choosing from more than 40 delicious toppings and sauces. Make sure to get one s’mores dessert pie. All pizzas come with a choice of High-rise Dough or Gluten-Free Dough. Both fast-casual, quick-service restaurants are located in Town Center and offer ample indoor and outdoor seating. 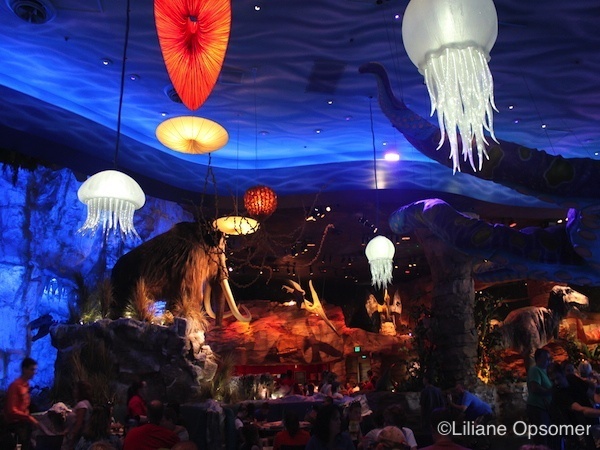 The fun décor and the life-size animatronic dinosaurs make the T-Rex restaurant a favorite among children. If eating among dinosaurs is not your thing and you don’t mind the kids getting a bit dirty, check out the giant sandbox outside of the T-Rex restaurant. Playing in the Paleo Zone is free of charge at all times, even without dining reservations. Chef Art Smith’s Homecomin’ pays homage to the Southern kitchen, with the majority of ingredients sourced from local farms, ranches, or fisheries. Indoor seating provides a view into the open kitchen. Additional seating is available in a screened-in porch and at a small outdoor terrace. 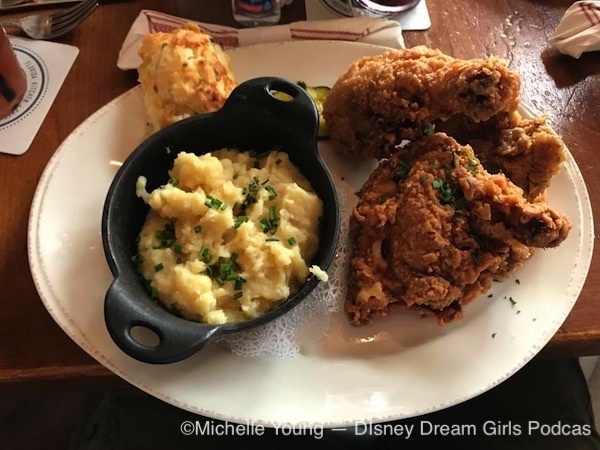 Fried chicken, fried catfish, shrimp and grits, deviled eggs, and hushpuppies are staples at this restaurant located at The Landing. If you are visiting on a Saturday or Sunday, consider the brunch at Raglan Road, where you can delight in authentic Irish music, food, and live entertainment. Options range from the chef’s Full Irish Breakfast (sausage, black and white pudding, bacon, roasted tomatoes, mushrooms, and fried eggs with potato “roasties”) to pancakes with crème fraiche, maple syrup, and berry compote. 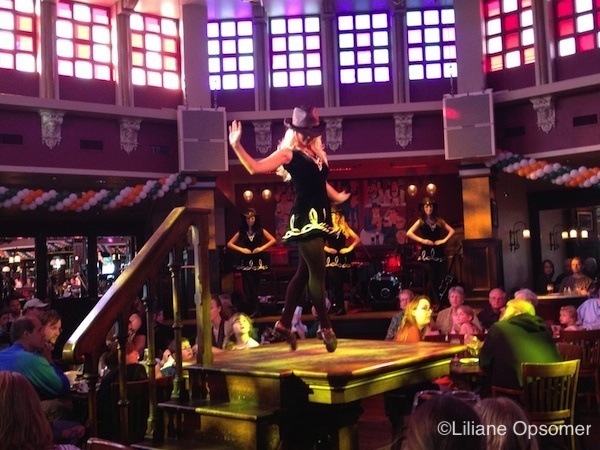 Enjoying the in-house Irish band and Irish dance troupe are one of my favorite things to do at Disney Springs. If you do not feel like eating a sit-down meal at Raglan but want to enjoy great Irish music, you can always go for the outdoor patio. 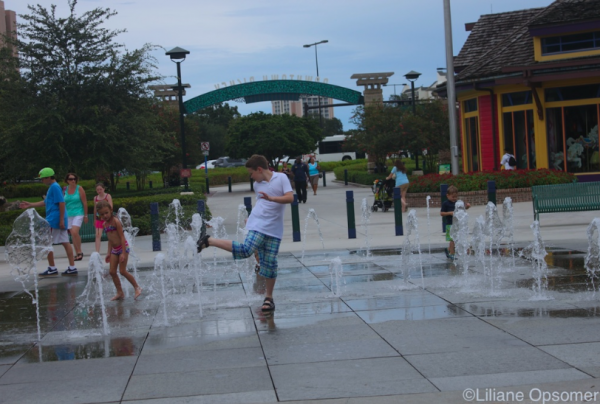 During the summer months, kids enjoy the two splash-pad fountains. Hanging out here is a wet affair, so bring a change of clothes, slap on the sunscreen, and let them have fun! Parents can keep a watchful eye from the benches surrounding the jumping water jets. 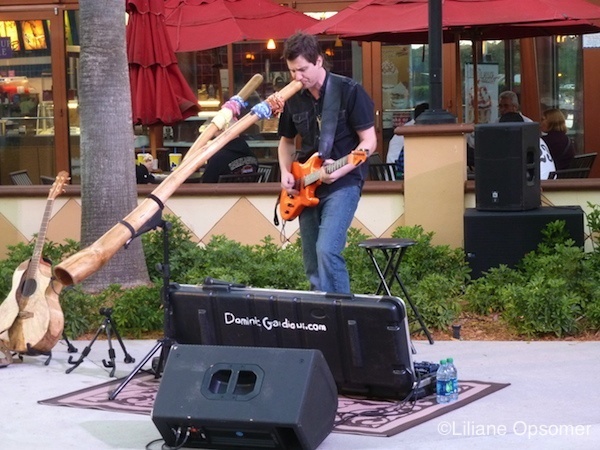 All year long, there is plenty of musical entertainment throughout Disney Springs, including free concerts and dance performances on the Waterside Stage in Marketplace. There are two ways to impress your tween or teen. How about hovering over Disney Springs in the world’s largest, hand-painted, tethered helium balloon? The Aerophile balloon soars 400 feet high and offers a 360-degree view of Walt Disney World Resort. The 8- to 10-minute experience comes at a price tag of $20 adults and $15 ages 3-9. 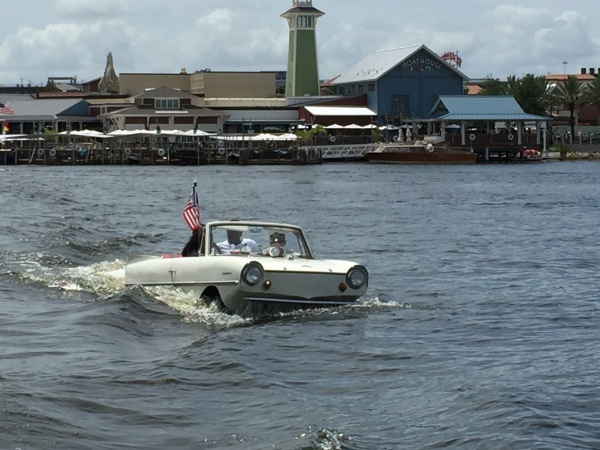 Another pricy-but-fun activity is the Amphicar ride at The BOATHOUSE. The 25-minute ride on Village Lake costs $125 and includes your own Car Captain and offers seating for up to three. 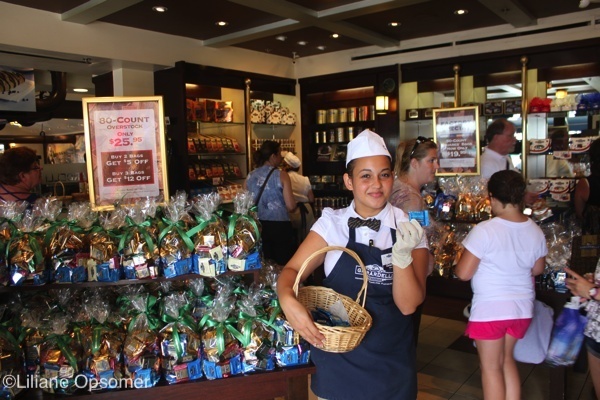 Ghiradelli’s Soda Fountain and Chocolate Shop distributes free chocolate samples throughout the day. At The Ganachery, you can watch the signature ganache squares being made. The price for one piece is $3. 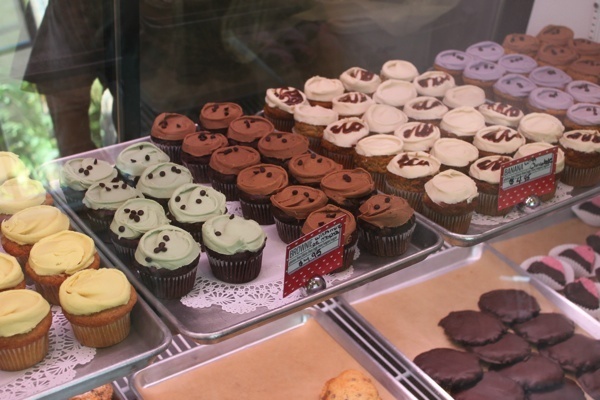 A small cup of delicious ice cream at Vivoli il Gelato or a cupcake at Erin McKenna’s Bakery NYC will set you back about $5. 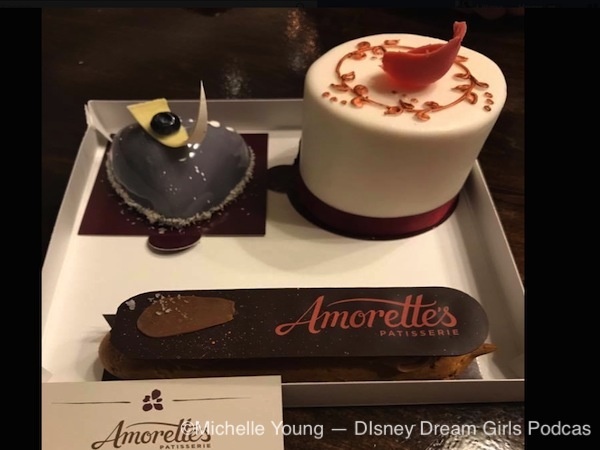 For a real treat, visit Amorette’s Patisserie and go for Amorette’s Petit Cake ($15), a miniature version of the patisserie’s signature cake, made out of 11 layers of red velvet cake, chocolate cake, cherry mousse, chocolate mousse, raspberry fruit jelly, and Italian buttercream. End your visit with drinks at Jock Lindsey’s Hangar Bar. The bar, named after a character from the Indiana Jones movie, looks like a 1930s-era airplane hangar. The outdoor seating area is perfect for watching the sunset over Village Lake. 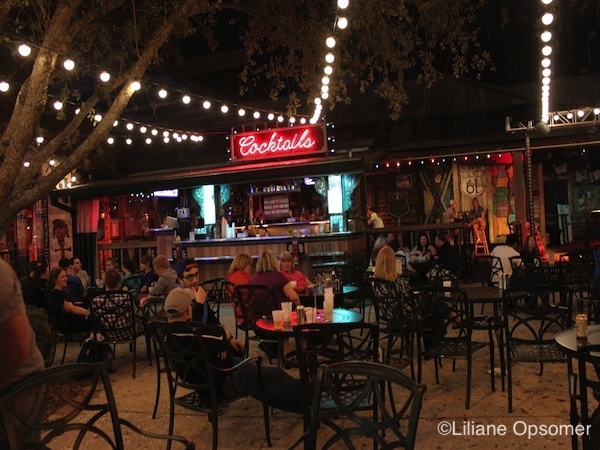 If you’re still in the mood for some music, consider drinks on the outdoor patio of House of Blues. For the price of a drink, you can enjoy great music. 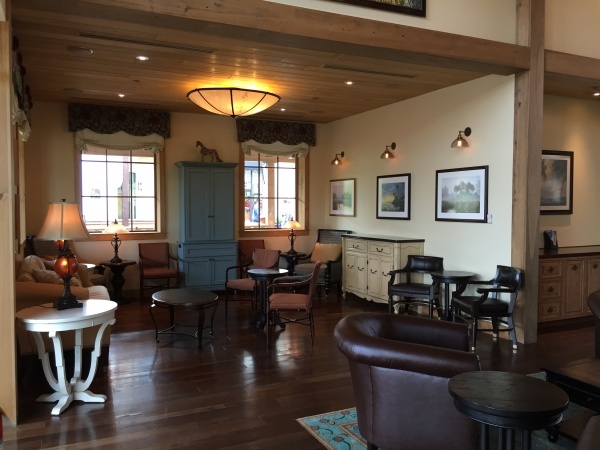 Touring Tip: Make sure to visit the welcoming and beautiful new Guest Services, complete with a porch and rocking chairs. The building is located next to the beautiful Disney-created springs that wind through most of Town Center. The guest center offers free cold water and plenty of outlets next to comfortable seating inside, convenient if you need to charge your cellphone. 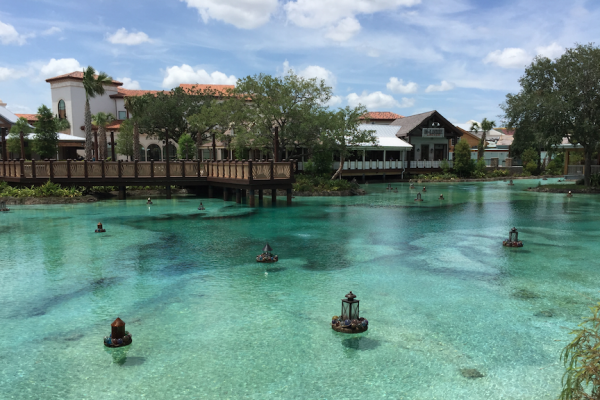 Have you spent a day at Disney Springs without shopping? What did you do? Share your suggestions in the comments.